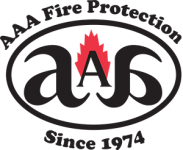 Berkeley businesses that want comprehensive fire protection work with AAA Fire Protection Services. We have over 40 years of experience working with fire protection. We provide comprehensive services at affordable prices. Our fire sprinkler services include fire sprinkler installation, fire sprinklers inspections, and fire sprinkler repairs. While we offer a complete fire sprinkler set of services we go deeper to deliver more. We are a team of experts and a family business with a long history of working with companies throughout the San Francisco Bay Area. We are very proud of our long and positive relationships with the businesses that we serve. After 40 years in this industry, we have built up insider knowledge that allows us to work seamlessly with your design team, including architects, planners, and builders. We help the planning and building phases of your project go smoothly by supplying critical information about fire sprinkler installation and fire suppression technology. If you'd like more information about our comprehensive services, please give us a call at (800) 543-5556. We are easy to work with and provide free quotes and thorough answers to all of your questions.